"Cpl. 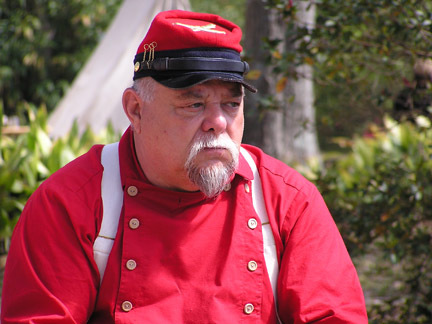 Johnny" is a portrait of one of the members in a Civil War living history artillery unit. The photo was taken at a living history event at the Acadian Village near Lafayette, Louisiana in March of this year. This study in pen and ink techniques was completed in September 2006. 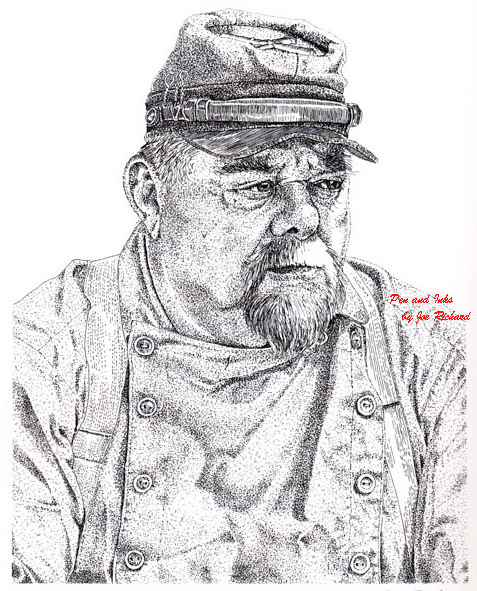 Extensive use of stippling detail work was used to create a dramatic finished portrait of "Cpl. Johnny". The photo used in completion of this artwork. The photo was taken by the wife of the subject of this artwork study.